« Will the Ohio Supreme Court shut down FirstEnergy’s bailout once and for all? The massive Aliso Canyon gas leak took place at the largest gas storage facility in the western U.S. over four months in 2015-2016. In that time it released five billion cubic feet of nearly pure methane, threatened more than 50,000 people and had the same climate impact as putting 600,000 cars on the road for a year. After the leak was stemmed, California began a comprehensive overhaul of its gas storage rules to address the deficiencies that allowed the Aliso Canyon incident to happen. This summer, the state finalized a new rule that is the strongest in the country and a model for others. The rule includes groundbreaking provisions for risk management and emergency response planning and requires operators and local and state officials to prepare for any eventuality. States that might be considering gas storage rule upgrades, like Michigan, Illinois and Virginia, as well as the federal government, would do well to study California’s approach. One of the trickiest areas of oil and gas regulation is making sure someone will pay to plug a well at the end of its life. Wells can operate for decades, but eventually their costs outweigh their revenues, and the wells must be plugged to prevent environmental hazards. Plugging costs vary widely, from tens of thousands to millions of dollars per well. If operators go bankrupt or don’t set aside sufficient funds to pay for plugging their wells, states often use taxpayer dollars to fix the unplugged wells. These “orphan wells,” which nationally could number 500,000 or more, are a major liability for oil and gas states, especially in Appalachia. Many states have upgraded their orphan and inactive well programs. Alaska, Arkansas, Virginia, New Mexico, Michigan, West Virginia, Ohio, New York, Kentucky, California, Kansas and Colorado each developed rules, legislation or policy upgrades and efforts to address current and future orphan wells. Several Canadian provinces worked on this issue in 2018 as well. Many states still have a long way to go on this problem, but it is encouraging to see resources directed toward solving this difficult and crucial issue. Oil and gas operations can result in 10,000+ spills a year, and inadequate standards to detect, report and remediate spills and leaks put land, water and communities at risk. States need smart operating rules to prevent spills. But they should also have advanced detection, reporting and remediation requirements so that when accidents do happen, they are caught and remedied rapidly. Unfortunately, in August, New Mexico adopted some of the nation’s weakest spill cleanup standards on chemicals like chloride and benzene that can spread easily through soil and groundwater. The rule also lacks requirements that landowners be informed of spills or leaks on their property and the actions taken to address them. When spills do occur, the standards for response and remediation must be strong enough to ensure that impacts are limited. But regulators cannot take smart action to reduce spills if basic reporting requirements are lacking. And in some cases, the reporting gap is huge. For example, Texas is the largest oil and gas producer in the county, yet the state does not require companies to report wastewater spills. This needs to change. Though states often tackle rules in response to specific issues as they arise, some take a more proactive approach to keeping their regulatory house in order. A good example of this is North Dakota’s biennial oil and gas rulemaking process, which is scheduled well in advance and covers anything legislatively mandated and whatever the North Dakota Industrial Commission staff deems deserving of modification. This list demonstrates the breadth of issues that oil and gas regulators deal with and sheds light on why North Dakota and other states reexamine their whole rulebook regularly. This approach facilitates a process of continuous improvement, to which many states subscribe. Pennsylvania released a report on its Mechanical Integrity Assessment program that evaluates leakage rate and environmental risk of the state’s entire active well fleet – 110,000 conventional wells and around 8,000 unconventional. 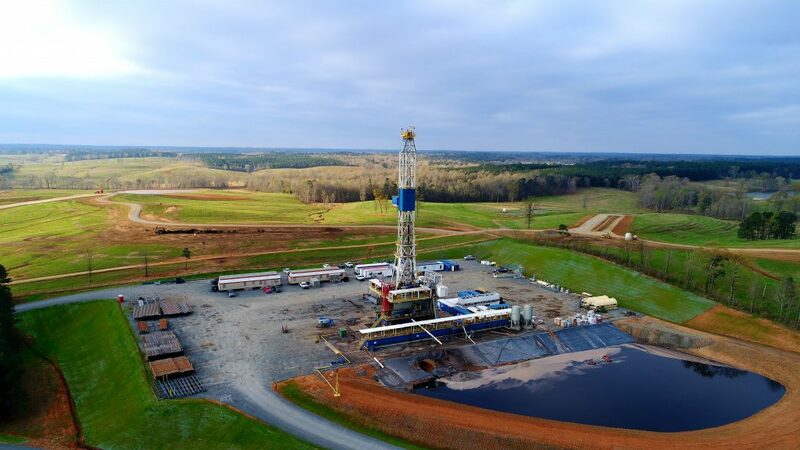 Pennsylvania’s well integrity database is among the most comprehensive in the world, and the report helps prioritize inspections and rule updates for the state’s oil and gas regulators. Colorado is conducting a review of several areas of its oil and gas program through the State Oil and Gas Regulatory Exchange, a peer review program supported by the Interstate Oil and Gas Compact Commission and the Ground Water Protection Council. The review covers financial assurance, flow lines, idle wells, and well integrity. The results of the review will help Colorado upgrade its regulatory program in 2019 and beyond. Wyoming began participating in WellFinder, an app run by the Ground Water Protection Council that allows users to geolocate oil and gas wells and other mining sites on their smartphones. The app allows citizens to better understand the activity going on around them and facilitates better incident reporting. On the whole, states were busy in 2018 working to reduce the oil and gas industry’s potential impact on land and water. But a regulator’s work is never done. Practices change, new issues arise and there are always unforeseen innovations and complications on the horizon. EDF expects this year to be just as busy, and we look forward to working with proactive states to see more progress in 2019. This entry was posted in Aliso Canyon, California, Colorado, Methane, Natural Gas, New Mexico, New York, Ohio, Pennsylvania, produced water, produced water, State, Texas, Water, Wyoming and tagged Gas storage, produced water, well integrity. Bookmark the permalink. Both comments and trackbacks are currently closed.